A snowstorm hit the Washington, D.C.-area, on 25 March, five days after the start of spring. A premature April Fools' Day prank, perhaps? P.S. Please excuse my doggerel. According to a study published in the journal Cell Metabolism, a diet that is high in animal proteins is four times more likely than a low-protein diet to cause death by cancer, and several times more likely to cause death by diabetes. Via Washington Post Health. Do lobsters, crabs, and other invertebrates feel pain? New research at Queen's University Belfast says yes. Via Washington Post. The chemistry of hot sauce: capsaicin and endorphins. Via NPR. Today's fruits and vegetables in the U.S. are less nutritionally dense than those grown only a few decades ago. Via Scientific American. U.S. nutrition labels to be re-designed with an emphasis on calories, sugar content, and realistic portion sizes. Via Washington Post. Vegetarian or omnivore: the environmental implications of diet. "The argument that a vegetarian diet is more planet-friendly than a carnivorous one is straightforward: If we feed plants to animals, and then eat the animals, we use more resources and produce more greenhouse gases than if we simply eat the plants. As with most arguments about our food supply, though, it’s not that simple." Many inputs enter the equation. Via Tamar Haspel (in the Washington Post). Popped teosinte —an ancestor of modern corn— may have been crucial food for the nutrition, and hence, growth of, the Aztec empire. Popped, it was called "totopoca." Via NPR. Via extrapolation, a study claims that the human nose can detect at least 1 trillion odors, up from previous model of 10 thousand. Via Science Magazine (as reported in the Washington Post). A comprehensive list of 2014 Washington, D.C.-area community-supported agriculture programs (CSAs). Via Washington Post Food. Okonomiyaki: Japanese-style cabbage pancakes. Via The Guardian Food. Brussel Sprout Fried Rice. Via Isa Chandra Moskowitz at Post Punk Kitchen. "The rice has to be cold for this recipe to work correctly, otherwise it will get mushy and sticky. " St. Patrick's Day recipes made vegetarian. Via Jolinda Hackett at About.com. Kale and Black-Eyed Peas with Smoky Grits. Via "Global Vegan," Robin Robertson (as posted in Washington Post by Joe Yonan). Crisp Baked Tofu. Via David Lebovitz (from a recipe by Joe Yonan in Eat Your Vegetables). Vegan whipped 'cream.' Via EveryDayDishTV. How to make gluten-free 'seitan'. Via Happy Herbivore. 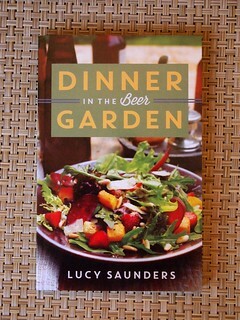 New cookbook by Lucy Saunders: Dinner in the Beer Garden. "Pairing craft beer with plant-based recipes, with profiles of brewery gardens and other social spaces." Purchase at toll-free number, 800-760-5998. More details at Facebook. Why bother with a mega-conglomerate beer? Because it's an obvious ploy to grab small-brewery 'craft' beer 'cred,' which is, in and of itself, a sorry commentary on the state of un-innovation at the international brewing/beverage conglomerates. 1) "brewed with Cascade hops to give it its bourbon-like flavor." Cascades are a variety of hops; hops are herbs; they add herbal flavor and aroma to beer, and bitterness. No herb (be it oregano, basil, parsley, or hops) tastes anything remotely like bourbon. Saying hops add bourbon flavor to beer is like saying grapes add oak flavor to wine. What adds bourbon-flavor to beer? Simply put, bourbon barrels do. Aging beer in barrels that formerly held bourbon, or adding bourbon barrel chips to a maturation tank, or mixing in artificial flavoring, are all methods to add bourbon flavor. I would guess that MillerCoors chose the last course, considering the cost and labor of the other two. Small American breweries have been aging their beer in bourbon barrels (and other spirits) since the early 1990s, when Goose Island first re-introduced the concept with its Bourbon County Stout. Miller actually sent out a corrective press release to try to clear up some of these mistakes...to which I thought, so what? You blew this one. I think the current ad campaign supporting Fortune is an even bigger mistake than the launch press; it seems to consist mostly of an actor urging men to go back into the bar and have another beer after they'd decided to go home. Brilliantly responsible. This is SO Miller; just so clueless. They haven't done anything right since Lite beer. I do find it strange that TIME has never corrected the piece, at least on-line. A request from MillerCoors would not have been unanswered. And, I believe that my other points, #2 and #3, remain valid. The 'big' boys, such as SAB MillerCoors, are losing market share to wine, spirits and 'craft' beer; they seem to be flailing about trying to solve the problem. 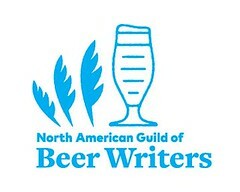 2) The logo reads" Spirited Golden Lager. Undistilled." That's clever, but misleading. It plays off the word "spirited" as in spirits —distilled liquor— without actually saying so. Beer is fermented. No beer, as beer, is distilled. If it were, it would be spirits, and regulated as such. 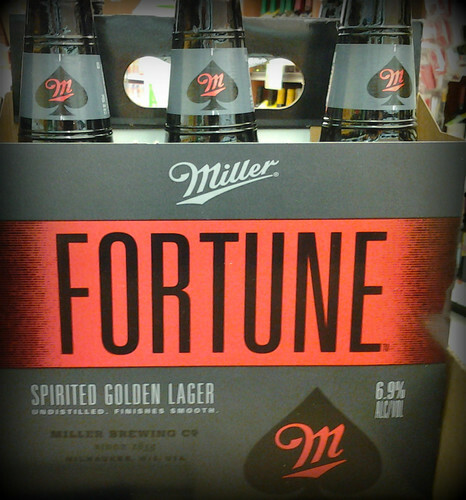 In fact, the higher alcohol of the Miller Fortune (6.9% alcohol by volume) comes not from any added bourbon-barrel-chips, but simply from the fermentation of an additional amount of fermentable starch, which in MillerCoors' case is additional high-fructose corn syrup. The gulf of difference between those two extremes makes such a statement ludicrous. 'Craft' beer is brewed to emphasize flavor to create interest; American light lager is brewed to de-emphasize flavor so as not to offend. And, why hard liquor drinkers would be expected to put down their 40%+ alcohol shots of bourbon, whiskey, scotch, etc., for a beer of 6% is hard to fathom ... except, obviously, for international conglomerate marketeers. Now, compare all that with this from Lagunitas —a 'craft' brewery in Petaluma, California— that always seems to be having fun with its marketing. 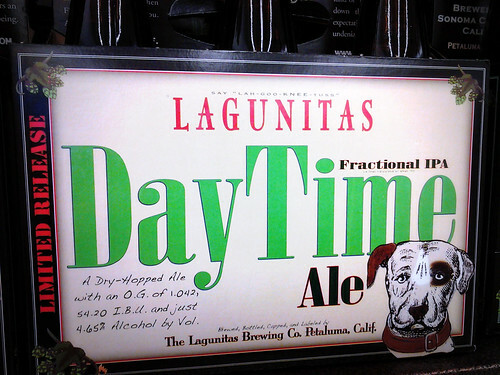 With its Day Time Ale, Lagunitas seems to be poking (good) fun at All Day IPA (a hoppy pale ale of 4.7% alcohol-by-volume) from Founders Brewing (of Grand Rapids, Michigan). (Day Time is only 4.65%, after all.) And, by styling the beer as a "Fractional IPA," Lagunitas is poking fun at the neologistic style designation of session IPA, a current hot thing in the 'craft' beer world. The 'big' boys are losing market share to spirits and 'craft' beer (and wine). I suspect that being a marketeer at SAB/MillerCoors is not a fun thing —albeit a lucrative job. I suspect that the good folk at Lagunitas wake up every morning eager to go to work. Clamps & Gaskets: News Roundup for Weeks 10/11, 2014. Farm brewery bill makes headway in Maryland state legislature. House Bill 337 would allow 'farm-breweries' (Class 8M) to self-distribute up to 3,000 barrels of their beer annually. Via Frederick News-Post. Boise, Idaho, sports arena sells 'large' beer cups holding only as much beer as in 'small' cups, but charging $4 more. Sued by fans. Via Washington Post. Megan Parisi, past brewmaster at Washington, D.C.'s Bluejacket (and its first), accepts position at Wormtown Brewing, in Worcester, Massachusetts. To be head brewer of its new production facility. Via YFGF on Twitter; more details from Washington Post. Maryland House okays two bills that allow beer sales at Montgomery County breweries (removing a restriction that had required them to be fully licensed restaurants), and allow Montgomery County brewery self-distribution to licensed recipients in the county. Via WAMU. Phyllis Schlafly —an anti-ERA organizer decades ago, and founder of conservative interest group, the Eagle Forum —now fights against granting Schlafly Brewery, in St. Louis, Missouri the trademark to the name Schlafly. 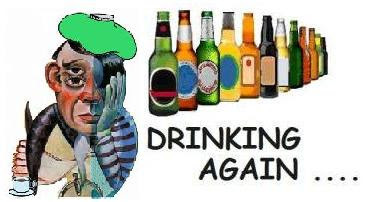 “Certainly alcohol has a connotation that is the opposite of conservative values, ” said Andrew Schlafly, a New Jersey lawyer who represents his mother in the matter. Via Associated Press. There will be more choices of Washington DC-area craft beer available at Nationals Park this year, including cask ale. Via Washington Business Journal. Official release party for "Capital Beer: A Heady History of Brewing in Washington, D.C." —written by historian Garrett Peck— held at Heurich House Museum, in Washington, D.C. Photos via YFGF. The World Wide Web was created 25 years ago, on 12 March 1989, when British computer scientist Tim Berners-Lee wrote a proposal for a "global hypertext system." Via Los Angeles Times. The disgrace of 'craft' beer hooligans: a video of a near-riot during Cigar City Brewing's Hunahpu’s Day, in Tampa, Florida. The story via All About Beer. The issues of legal smuggling of 'craft' beers and those breweries' desire to protect the quality of their beer after it leaves the facility. Via The BeerMonger. Seven 'craft' beer professionals are named as James Beard Foundation Award semi-finalists. Via CraftBeer.com. 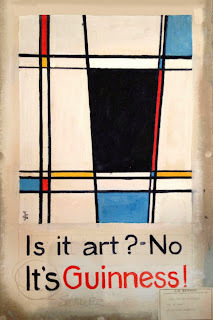 Thought lost, more poster works by artist John Gilroy for Guinness Stout have been discovered. All were done in the style of other famous artists. Via Martyn Cornell at The Zythophile. The 300th birthday of C.P.E. Bach, son of J.S. Bach, and iconoclastic composer. Via NPR. Frank Jobe, the surgeon who, in 1974 pioneered of elbow medial collateral ligament replacement/repair surgery —which became known as Tommy John surgery after its first recipient/patient— dies at 88. A more common, and highly successful, surgery now for baseball pitchers. Via Washington Post. Continued consolidation in U.S. supermarket business. Private equity firm Cerberus to buy Safeway supermarkets for $9.4 billion, and merge them with Albertson's stores. Via NPR. No, no, don't tell me! After a 5-decade career, Carl Kasell, mellifluous-toned host and reporter for National Public Radio to retire. Currently the announcer of NPR news-quiz-show, "Wait, Wait! Don't Tell Me." Via NPR. The 2014 Virginia Governor’s Cup had many more red blends as entrants than in the past. This year, Williamsburg Winery won top honors for its 2010 Adagio, a Bordeaux-style blend of cabernet franc, merlot and petit verdot. Barboursville Vineyards received the most medals, three. Via Dave McIntyre (at Washington Post). 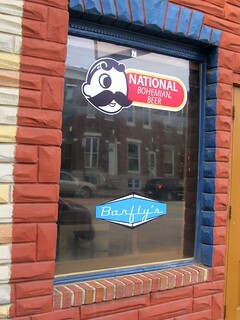 Once the largest hometown brand of Baltimore, Maryland, Natty Boh, now brewed elsewhere under contract, is for sale. Asking price? $1 billion. Okay, the sale also includes the much larger Pabst, a marketing company, also without any brewing facilities of its own. Via Brewbound. The Brewers Association —advocacy group for 'small' breweries in the U.S.— changes its definition of 'craft' brewery, again. To permit and include the use of adjuncts, such as corn. Via YFGF. Surgeon, author, Sherwin B. Nuland —author of “How We Die” and “How We Live”— dies at age 88. Via Washington Post. Resplendent in tie-dye, Jeff Forrest — beer and cheese monger at Whole Foods Market, near Tysons Corner, Virginia— taps a firkin (10.8-gallon cask) of Loose Cannon IPA (from Heavy Seas Brewing, of Baltimore, Maryland). This was the first cask ever served in the store. "We're going to do it again," said Forrest, pleased with the results. Said another associate: "It was messy." For lo, the winter is past, the rain [snow?] is over and gone; the flowers appear on the earth; the time of the singing of birds is come, and the voice of the turtle is heard in our land. 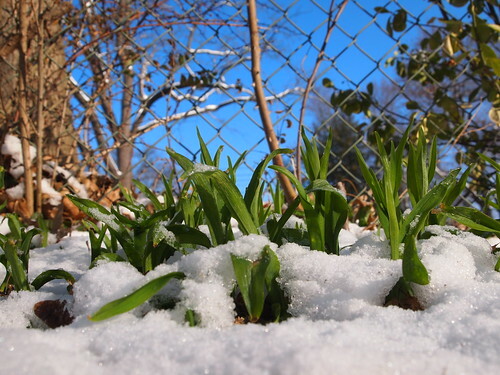 Several years ago, NPR broadcast a story about the signs and sounds of spring's approach. One such was the vernal experience of a small resort town, whose residents, somnambulant in winter months, would be awakened to spring's imminence by the mini-klaxons of SUV proximity alarms. It was the cacophony of automobile-tethered tourists swarming back for warmer weather, like noisy swallows to San Juan Capistrano, but without the majesty of wings on the wind. Well, the March Equinox occured today at 12:57 pm EDT, and spring 2014 has sprung. None too loud, and none too soon. Of course, anyone knows that the true revelation of spring's arrival is the return of baseball. Opening Day is less than two weeks away. Remembering Dr. James Kollar (1946 - 2014) —Chesbay founder, craft beer pioneer. It is with a heavy heart that I share the news of the passing of Dr. James Kollar VMD, on March 14th 2014. Dr. Kollar was a pioneer in the brewing industry. He started the Chesapeake Bay Brewing Company, in Virginia Beach, Virginia, in 1984. Known as Chesbay, the brewery was the first microbrewery to open in Virginia, and only the second microbrewery to open on the East Coast. Jim was a renaissance man by any standard. He set the brick that became the building of the Chesbay Brewery. He chose to brew lager beer. He sought out expertise from around the world to ensure he made the best beer possible. At the Great American Beer Festival (GABF) in 1987, Chesbay brought home a gold medal for Bock beer. This was the very first GABF to award medals (in only 12 categories). Jim’s legacy in craft brewing is his passion for beer, his big heart and spirit, and the people he brought together. Although the brewery would only last until 1988, many of those who worked there with Jim have continued on in craft brewing. In his youth, Jim played football, and was Pennsylvania state champion in the discus. He played college football under Engle and Paterno at Penn State. He secured his veterinary medical degree from the University of Pennsylvania, and moved with his wife, Marilou, to Virginia Beach, to build what would become a successful practice at Princess Anne Veterinary Hospital. In lieu of flowers, an endowment to the First Colonial High School track and field program will be established in Dr. Kollar's honor. A memorial service will be held this Saturday, March 22, 2014, at All Saints’ Episcopal Church, in Virginia Beach, at 11 am. Reception to follow. Allen Young was an assistant brewer at Chesbay in the mid-1980s. He posted his remembrance of James Kollar to Facebook, but gave his permission to have it re-posted here, and then added additional comments, below. I first met Jim on a tour of Chesbay in 1984 during the construction phase, and was immediately impressed by the amount of time he spent with my tour. 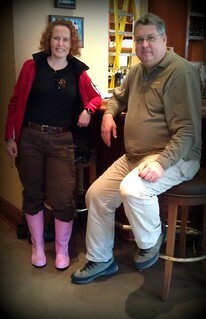 I returned and toured again after opening, and met his brewmaster, Wolfgang Roth. I was told if they got to the point to hire an assistant that they would call me. I had heard that before and gave it no hope. But a year later, I got that call, and joined the Chesbay brewery. That set the course of my career. Twenty years later, in 2006, I returned to Virginia Beach to start the Gordon Biersch Brewery/Restaurant there. I met up with Jim and installed him in our Stein Club. We plotted to reproduce Chesbay's Doppelbock, and in February of 2007, I had Jim tap the wooden keg to celebrate. We enjoyed life and lager; he will be missed. 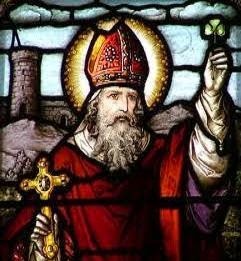 If you absolutely must shorten the name of today's observance of the death of the Roman Catholic Saint Patrick, it is St. Paddy's Day. It is not St. Patty's Day. Patty is widely used as the shortening of Patricia, or in reference to the circular piece of beef that you place inside a bun, while Paddy is short for Pádraig, the Irish name for Patrick. Patrick was not Irish. He was Celtic/Roman, born in the 5th century in what would become known as Wales, abducted at early age as part of a slave trade, and taken to Hibernia, now known as Ireland. As one example of how the day is celebrated in the U.S., a Baltimore, Maryland, business association held its 'Irish' festival nine days before the actual observance of today's St. Patrick's Day. Pictured here were preparations for a Federal Hill Irish Stroll as seen in the South Baltimore neighborhood —or as the revisionists call it, Federal Hill— on 8 March 2014, outside the historic Cross Street Market. There was little Irishness about the thing at all, in particular, the choice of beer: Miller Lite, Blue Moon, and Redd’s Apple Ale. As pallid in flavor as Guinness Stout has become —adulterated with flaked corn since the 1980s— at least it is an Irish-owned and Irish-made beer, and an internationally-appreciated beverage-icon of Ireland. These were things apparently unknown or unimportant to the festival's organizers. Considering today's expected augmented consumption of stout beer, this video from CraftBeer.com might be worth watching. 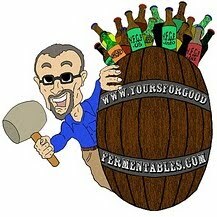 It debunks some dark beer myths. I've been using the toasted bread/dark beer calorie analogy for over 20 years now. Why didn't I secure a copyright? An early March winter storm of ice and snow in the Washington, D.C.-area provided a chilled backdrop for a bottle and pour of Enlightened Despot Ale, a 'Russian' Imperial Stout. Empress Catherine the Great of Russia an Enligtened Despot, a form of absolute monarchy, inspired by the Enlightenment. The despots fostered the arts, sciences, education, and embraced the principals [sp] of individual freedom. Made with 10 different specialty grains, generously hopped, and aged in 15-year old Pappy Van Winkle bourbon barrels. 11.3% abv. 78 IBUs. Lickinghole Creek Craft Brewery, barely a year old, was instrumental in efforts toward a recent legal classification of farm-breweries in the Commonwealth. a farm brewery producing hops, barley, and beer in the heart of Virginia. Lickinghole Creek is a water-conscious brewery. We brew with well water drawn from the deep. Our wastewater is purified on site, and returned clean to the Lickinghole Creek watershed. Our name pays homage to Little Lickinghole Creek, which runs through the farm's rolling hills. Since pre-Colonial times, the creek has been know as the Lickinghole, where wildlife stopped to drink from the nourishing waters. I purchased the beer at the brewery itself, on a crisp, sunny, March afternoon. None too soon. The snow-storm hit the following day. P.S. The beer was sippingly tasty: Roasted malt, dark fruit, espresso, 70% chocolate, vanilla-bourbon, and a touch of ash (in a good way). 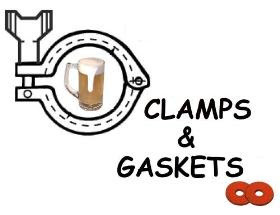 Clamps & Gaskets: News Roundup for Weeks 8/9, 2014. 2014 Virginia Governor’s Cup winners announced. Top spot taken by Williamsburg Winery for its red blend, Adagio 2010. Via Virginia Wine Time. More, via Dave McIntyre at Washington Post. A history of brewing in the city of Richmond, Virginia. Via RVA Mag. Wine experts disagree over the quality and raison d'etre of high alcohol, highly 'extracted' wines vs. low alcohol 'restrained wines. Robert Parker vs. Jon Bonné. Via Terroirist Blog. Sherry is not only sweet. It is vinified dry, salty, fruity, and rich. Fino, manzanilla, amontillado, palo cortado, oloroso. Via Dave McIntyre of Washington Post. Forbes Magazine selects Virginia as one of "Six Exciting Wine Regions to Explore in 2014." Incroyable! Paris, France —better known for wine— will host its first ever Beer Week, May 24 to June 1, 2014. Via France Today. San Diego brewer argues against existence of a looming craft beer 'bubble,' at least not in near future. Via Voice of San Diego. Virginia legislature has created a farm-brewery classification: a brewery located on a farm using a proportion of ingredients grown on that farm for brewing beer. Via YFGF. Counting every operating brewery plant, and all permits for soon-to-open breweries, the Beer Institute found 3,699 breweries in U.S., at close of 2013. Via Brookston Beer Bulletin. What is net neutrality, why you should care about it, and why it may be too late. Comcast’s deal with Netflix. Via Washington Post. California drought causing brewers to face major water shortage, impacting their beer. Via NPR. Winter's effect on grape vines worrying U.S. wine makers. Severe cold in east; severe drought in California. Via Dave McIntyre of Washington Post. New documentary on Baltimore brewing history —Brew Baltimore— to be released in March. Steve Frazier —doyen of brewers in Baltimore, brewmaster for The Brewer's Art— appears to be in profound contemplation of the beer in his glass. As seen at Max's 10th Annual Belgian Beer Fest at Max's Taphouse, in the Fells Point neighborhood of Baltimore, Maryland. The pub was pouring over 160 Belgian beers on draft (including some American Belgian-inspired beers, such as Mr. Frazier's), and serving over 200 Belgian beers in bottles. Stella Artois was not invited. A snapshot of a good-sized chunk of the current (and past) craft beer brewer community of the greater Washington, D.C. area. Bob Tupper (and Ellie Tupper, partially obscured) —emcee for evening; long-time beer festival host and raconteur; owners of Tuppers Beers. The photo was taken at brewpub Mad Fox Brewing Company, where, brewers, beer industry members, and good-beer fans in the mid-Atlantic gathered to roast (and bid farewell to) Nick Funnell, a British-trained brewer who, for 17 1/2 years, had been the executive brewmaster for Sweetwater Taverns in northern Virginia. In addition to winning numerous awards, Funnell trained brewers who went on to success at Sweetwater and elsewhere.